Data Environments, Inc. offers more than 30 years of project management experience in the technology sector, ranging from medium and high density data centers and network rooms, to Class 1 clean room environments. We provide monitoring tools and establish milestones to ensure projects are completed on schedule and on budget. Data Environments coordinates meetings, produces minutes, and provides ad hoc updates to track progress for on-time delivery. We use the most recent software tools to inform teams via a central location for drawings, submittals, RFI’s, and commissioning documents. 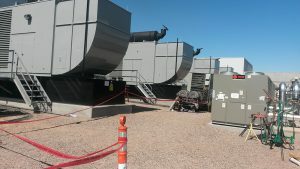 We engage construction, operations, security, and maintenance teams in each phase of the commissioning process, and we work with equipment vendors to provide the Best Known Methods for facility infrastructure installation and re-commissioning.